Every year we not only compete with other FRC teams we want to be active parts of our community, involved in helping people of all ages to learn basic robotic skills. 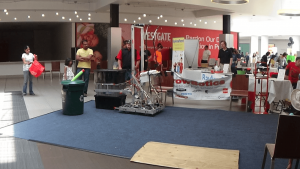 Whether at Westgate Mall or other community sponsored events we intend to teach our robot to children and adults to active get our community involved in STEM courses, for our next generation of engineers and programmers. Ultimately, we only hope that our involvement in these public events will lead to a passionate new generation of engaged engineers, who can best us and help us to build great robots in the future. 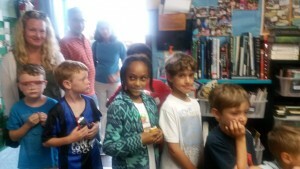 This year, Forest Hill Elementary held an exposition showcasing their FIRST Lego League program, where various groups of elementary students worked together to construct a moon base. 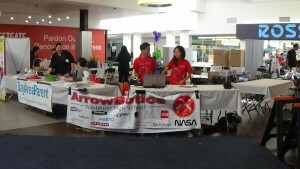 Arrowbotics was invited to help review the exposition as well as demonstrate our own robot to the aspiring engineers. 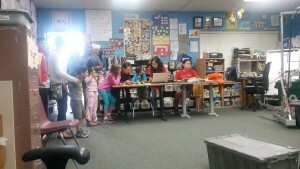 The elementary students showed great excitement for sharing their own creations and for our team’s robot. In the future, these young students will hopefully retain and develop their interest for engineering. Forest Hill Elementary annually holds Planet Falcon, a science fair. 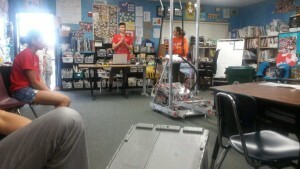 This year, Arrowbotics attended as a special guest where members demonstrated the 2018 robot and hosted activities for the elementary students. 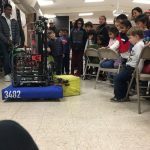 Attending outreach events at local schools hopefully inspires the young children by introducing them to the amazing and extensive world of STEM and robotics. 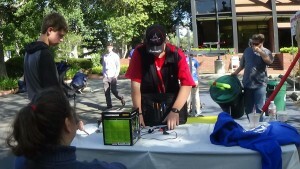 Early involvement prepares the students to one day join their own robotics team and join the vast fields of engineering. 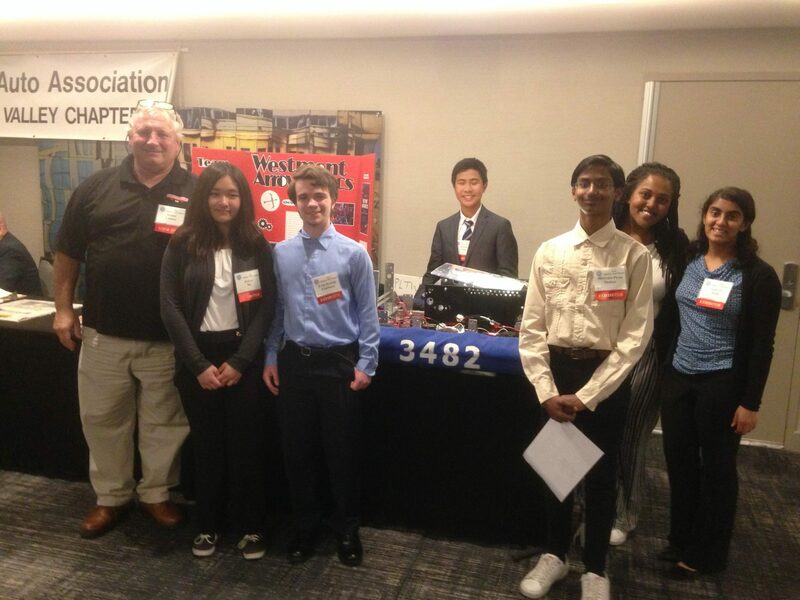 Arrowbotics was honored to once again attend the Silicon Valley Engineering Council (SVEC) Engineering Week Banquet. Participating in various outreach events allows the team to branch out and learn about the countless career possibilities offered in STEM. Students had engaging conversations with many engineering professionals from different STEM related fields and companies. By demonstrating our 2017 offseason robot and an exclusive sneak-peek reveal video of our current 2018 robot, we introduced them to Team 3482 Arrowbotics. Through our involvement in outreach events, the team hopes to emphasize the importance of STEM education and inspire community members to help promote engineering for students. Reaching out to elementary schools allows us to expose children to STEM from their young age, being very vital for their future skills in engineering. We hope that their involvement will allow them to practice and pursue robotics until they can run for an FRC team and have great success in future engineering careers. 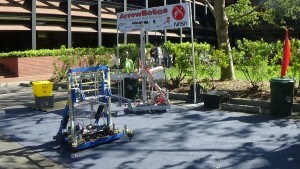 Arrowbotics is willing to go anywhere that we can not only get children involved with engineering, but get their families passionate as well. Presenting our robot at Westgate we reach to a variety of families. We only hope that after we give them a hand at the wheel they will want to persue STEM. Within most major public robotics events where we can participate with our robot, we can meet a community already involved or passionate in engineering. There we continue to get inspired by our newest generation of engineers and the knowledge and skill they have already accumulated over their youth.